If you were able to attend the MnSearch Summit last month. You might be wondering, how do we follow that up? Well, don’t worry, we’ve got you covered. 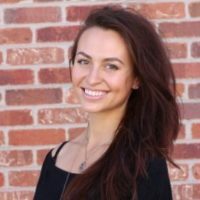 This month we welcome one of the brightest minds in SEO today; Britney Muller of Moz. And guess what, she just happens to be a northern Minnesota native. Do not miss this one! And prior to the event, we want to help you get to know a little bit about our speaker(s). So keep reading to learn about one of our speakers coming on at the end of the month, Britney Muller, SEO & Content Architect at Moz. All of my favorite people/speakers were here at the MNSearch event last month! 2. What can attendees expect to take away from your session in July? How to discover online opportunities today and how to create a marketing roadmap for the future. 3. What is the biggest mistake that you still see organizations making in SEO? Over optimization! This is everything from keyword seeding pages, too spammy footer links, to poor on-site content created only for search engines. 5. Besides SEO, what is one topic of discussion that you could talk about for hours on end? 6. What is the best part about working at Moz? The people! I’m surrounded by the best, brightest, and most incredible people in the world!